There are some wonderful discussions in the Edutopia community right now about girls and STEM education -- have a peek at Women (and Girls) in STEM or Are We Getting Too Aggressive Promoting STEM to Girls? The fact is, women still make up less than a quarter of the STEM workforce in the United States, according to the U.S. Department of Commerce. The good news is that there are some amazing people, organizations, and companies working to remedy this. I've collected some videos to ignite your imagination about what girls can do in science, technology, engineering, and math -- when given opportunities and encouragement. Watch the player below to see the whole playlist, or view it on YouTube here. This delightful video from USC Viterbi School of Engineering introduces us to real-life superheroes -- women in the engineering field who are saving the world with their work. At age 12, pint-sized maker Super-Awesome Sylvia already has a hit Web video series, several TED Talks, and a White House Science Fair under her belt. Her videos show low-cost or free experiments kids can try at home. If the statistics for women in STEM are shocking, the numbers for women of color are even smaller. In Oakland, Kimberly Bryant decided to make change on a grassroots level by founding Black Girls Code. The GoldieBlox back-story is pretty cool -- engineer Debbie Sterling started the company with her life savings, and a Kickstarter gone viral launched it to stellar success. Now, GoldieBlox has achieved its goal of "disrupting the pink aisle" with engineering toys for girls at major retailers around the country. Celebrating women in STEM throughout history is a great way to inspire girls. Ada Lovelace is one of the more well-known role models, butSciSchow's Great Minds series also has episodes on Marie Curie, Rosalind Franklin, Henrietta Swan Leavitt, Elizabeth Blackburn, and more. These six girls from Kentucky had a dream: to launch cameras into the stratosphere to record images of the earth's curvature and collect data. They raised over $5,000 and succeeded in their mission, and their exuberance is infectious. Read an Edutopia blog about them here. As a female YouTuber with a science show, Emily Graslie encounters her fair share of sexism. In this powerfully honest video, she calls out the problem of misogynistic commenters and sends a message of encouragement to women in STEM. Bonus: There's a great list of women YouTubers who make STEM shows in the description. This one feels a little slow, but the payoff is seeing the mind-blowing work of some of the girls who participated in the White House Science Fair in 2012, including a landmine detector, a bacteria-killing solar lunchbox, and a prosthetic hand. To paraphrase one of the articles below, supplying feminized traditional STEM toys to appeal to girls (hello, Lego Friends?) is not enough. Adults need to encourage girls to be curious and to tinker, find female role models in STEM careers, and offer chances to participate in programs or clubs that focus on STEM. Looking for ideas for other ways to motivate the girls in your classroom, your family, or your community to dig into STEM? Start by checking out the resources below, which include tip sheets, informational articles, and links to organizations who are dedicated to closing the persistent gender gap in STEM. 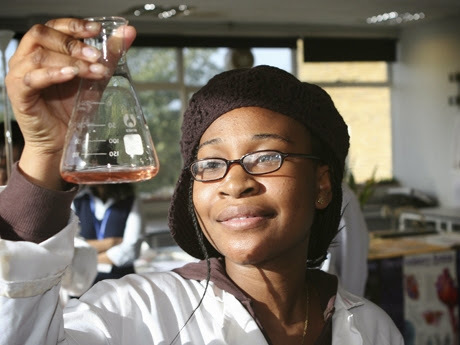 "Tips For Encouraging Girls In STEM," via Girls Inc.